Moving to the center is not a two-dimensional process. It has a third dimension — the difference between strength and weakness. In the course of coming in from the cold of his extreme far-left positions, the president looks like a wimp, abandoning his long-held views in the face of electoral defeats, adverse court rulings, recalcitrant Democrats and strong, united Republican opposition. When Bill Clinton moved to the center, he arrived in triumph. After vanquishing the Republican Congress during the government shutdown of 1995-96, he agreed to a balanced-budget deal with Newt Gingrich and Trent Lott. But it was his deal, along his lines, on his principles. When he signed a welfare reform bill, he did so after beating back and vetoing two Republican bills that coupled reform with harsh cuts to Medicaid. After he got a bill on his own terms, he signed it. Barack Obama’s “compromise” with the Republicans over the Bush tax cuts is no more of a compromise than was the deal Emperor Hirohito cut with Gen. Douglas MacArthur on the deck of the battleship Missouri after the atomic bombing of Hiroshima and Nagasaki. It was a surrender, not a compromise. It was submission, not triangulation. Obama is checkmated as long as Republicans hold firm, challenge him on solid grounds anchored in public opinion and remain united. He can either lose the election of 2012 because he is an obstinate ideologue who won’t compromise and won’t abandon his socialist principles or he can lose it because he does surrender and is too weak to be president. He does not have a third option — winning the budget fights and winning reelection — as long as the Republicans properly mount their challenge, because public opinion, the essential element for victory, is not with him. • Americans are against letting the Environmental Protection Agency impose carbon dioxide restrictions without consulting Congress. • Americans are against unilateral National Labor Relations Board action to eliminate the secret ballot in union elections. 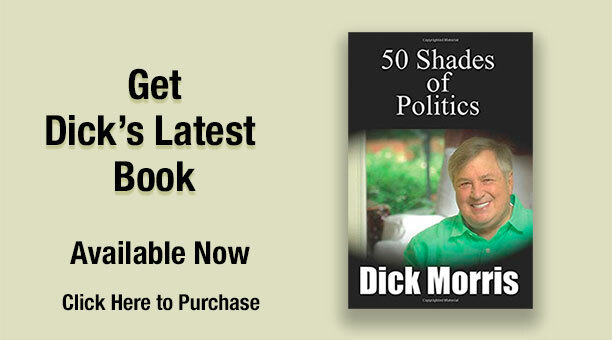 • Americans do not want the Federal Communications Commission to limit or censor talk radio. These are the grounds for our battles in 2011-2012. It is on this turf that the Republican House majority must fight. The fearful “moderate” Democratic senators will cave in. And then Obama will be forced to surrender because the Force — public opinion — is not with him. You can govern by ignoring what Americans think if you have a majority. But not if you don’t. And with each surrender — over his desire to raise the debt limit without mandated spending cuts, over his support for bailing out states in trouble, and over his demand to raise taxes in the 2012 budget — Obama will get weaker and weaker. His inability to fight and win the war on terror and his choice to become mired in Afghanistan with no real plan for winning will contribute to the image of weakness. In 2012, he will face America denuded of all the programs he passed in 2009-2010, with an economy only slightly improved but with at least 7-8 percent unemployment, and with a manifest inability to measure up to the job of president. Most presidents face a challenge of weakness. With Eisenhower, it was his refusal to stand up to Joe McCarthy. With Kennedy, it was his inability to pass legislation. With Nixon, it was his inability to get ahead of the Watergate scandal. With Ford, it was his helplessness in the face of inflation. With Carter, it was the hostage crisis. With Reagan, it was his failure to control the Iran-Contra affair. With Bush-41, it was his passivity on the economy. With Clinton, it was the flip-flopping early in his presidency. With Obama, it will be his retreat in the face of the Republican counterattack of 2011.